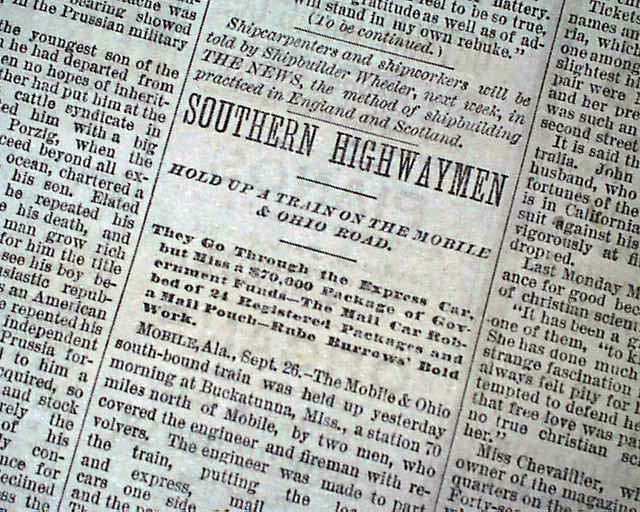 Page 3 has one column headings: "Southern Highwaymen"
"Hold Up A Train On The Mobile & Ohio Road"
and more. 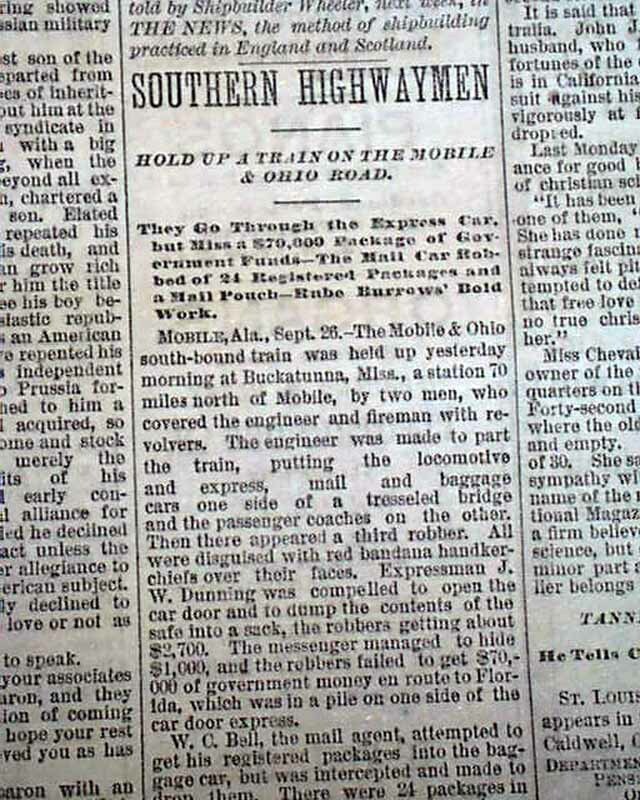 See photos for 1st report coverage on the train robbery at Buckatunna, Mississippi. This was the work of noted outlaw Rube Burrow. Burrow was a nationally infamous train-robber and outlaw in the Southern and Southwestern United States. 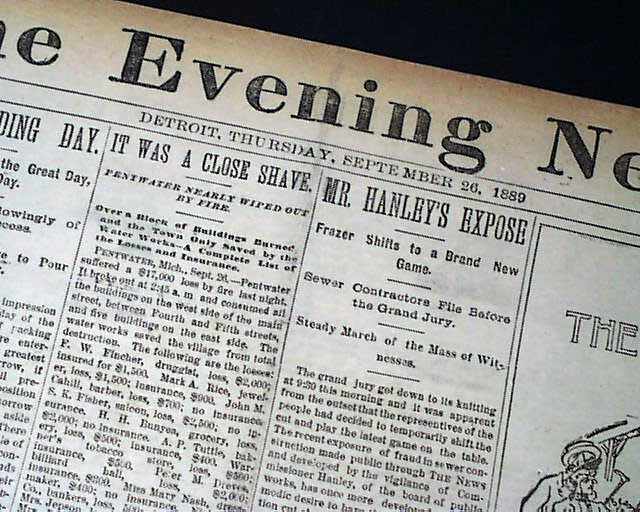 During the final years of the American frontier, he became one of the most hunted in the Old West since Jesse James. 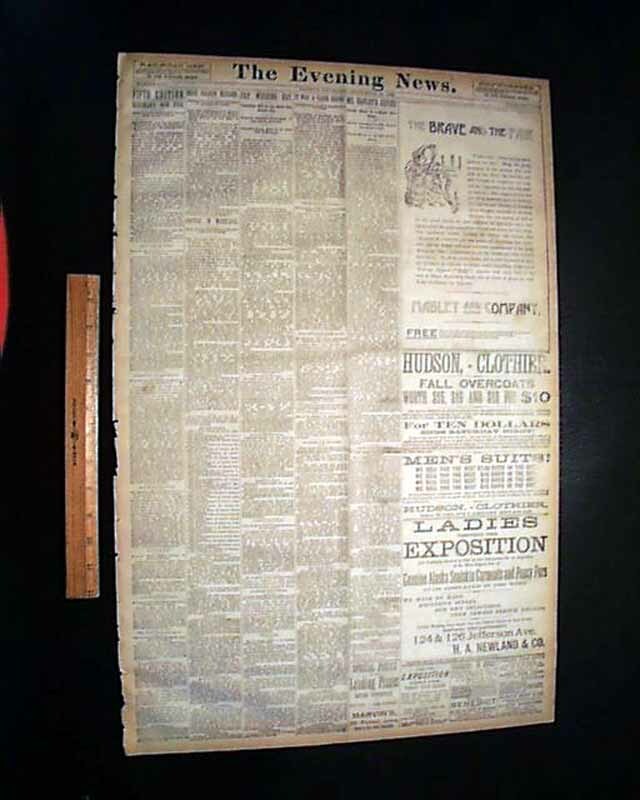 From 1886 to 1890, he and his gang robbed express trains in Alabama, Arkansas, Louisiana, the Indian Territory and Texas while pursued by hundreds of lawmen throughout the southern half of the United States. See the hyperlink for more on Burrow as well as mention of this specific robbery. 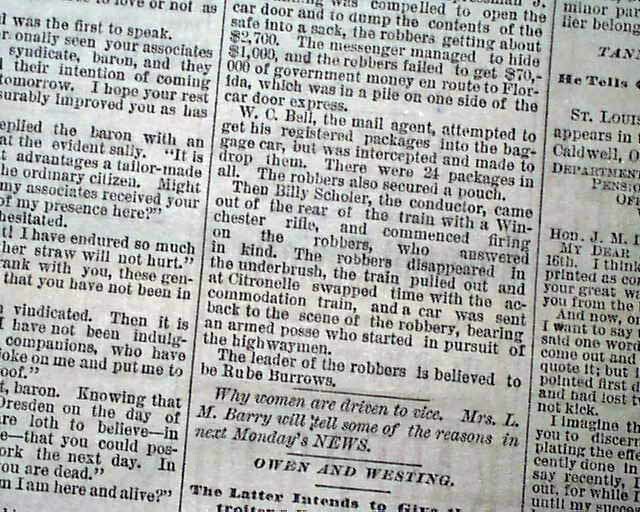 There is no mention of Rube Burrow in the article for at this early date the identity of the robbers was not known. Other news of the day. Complete in 4 pages, light browning with minor margin wear, otherwise good. Should be handled with care.